Hold the Dumb End of the Tape. 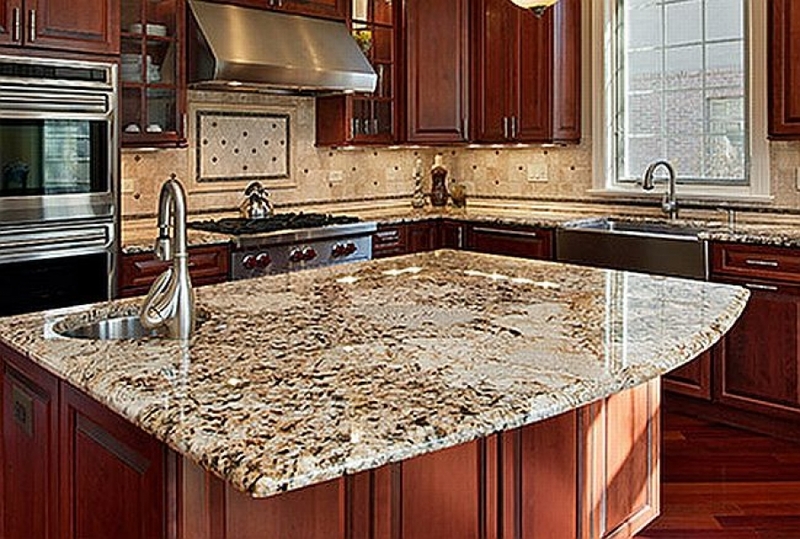 Granite is sold by the square foot. You can get an idea of the number of square feet you need by multiplying length by width for each section of the kitchen, such as countertops, backsplash, and an island. Then add the square feet of each section together.